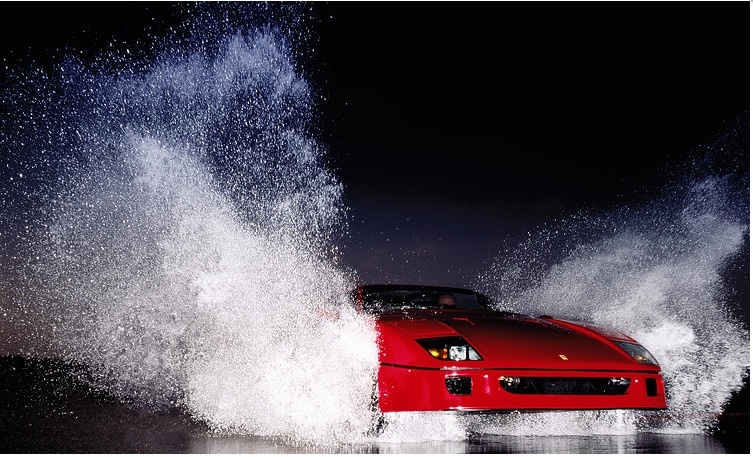 For more than a quarter of a century Ferrari has offered an “official” calendar, and for the whole of that time one single photographer has had the privilege of being The Man. 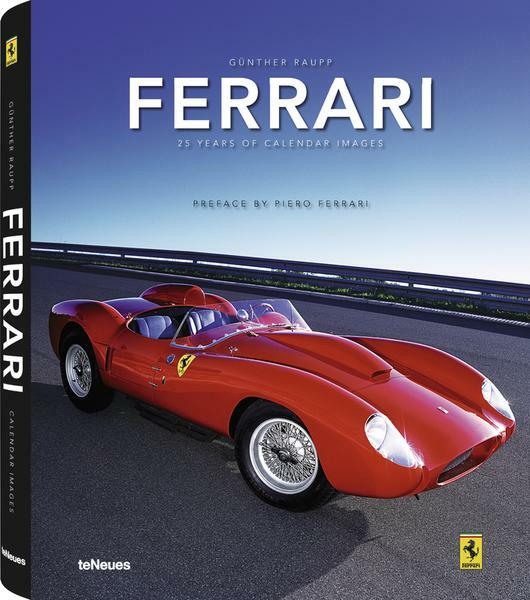 This book uses select images from Raupp’s calendars to illustrate the story of Ferrari cars from 1948–2006. Since this book first came out, in 2008, Raupp has tacked on three more years to his tenure. And there’s no reason to think he’ll stop any time soon. Now, continuity is all fine and dandy for an archivist or a bookkeeper but a photographer has to be of the moment in the moment. Raupp’s photography is technically refined and artistically sophisticated and it would be remarkable enough if he had produced an annual book for now 28 years. Ferraris are (mostly) photogenic, there are frequently new models—how hard can it be? What puts Raupp’s opus on an entirely different level, and makes his longevity all the more remarkable, is not only that he can continually conceive of relevant ways in which to interpret the Ferrari idiom anew year after year but that he has the skill to create the whole calendar package—typefaces, graphic elements, color, use of space—in a way that stays fresh and impactful, which means different from the years before. Think about it: there are only so many things you can do with/to a calendar; it is quite a restrictive medium. Anyone can do one clever thing one time, maybe even a couple of times, but to be able to turn out a basically similar product year in year out and have it look and feel contemporary is rather an unusual skill. While this latter aspect is singularly relevant to fully appreciating Raupp’s achievement, it doesn’t much come to the fore in a book that is really pursuing two somewhat different goals. 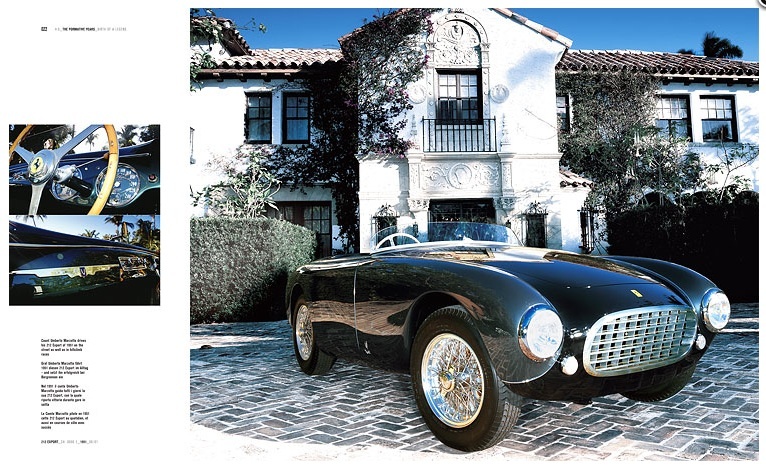 Piero Ferrari calling it “the family album of our vehicles” is exactly right, and that primary purpose is achieved by showing select images that were actually used in the calendars. But, without the context of the full calendar page, the photos are “just” photos, splendiferous photos to be sure, but cropped to the image area. It is only the 5-page section at the beginning of the book, called “Calendar Gallery,” that showcases all 25 calendars (1985–2006) in the form of their title pages plus 4 interior pages. It is only on these pages, or if you actually own the calendars themselves, that you can follow the evolution of Raupp’s design language. Also listed with these “minis” is a short list of the models Ferrari introduced each year. Something else is evident on these pages, and it is almost ironic: the dominance of red and fly yellow cars—the very colors Paolo Tuminelli in his introductory essay unfavorably compares to “the elegant and multifaceted range of colors” of Ferrari road cars of the 1950s and ‘60s, colors “a gentleman [who] would never be seen wearing tennis shoes at a wedding” would choose, the blues, silvers, browns, blacks, and two-toned. Why should we care about one Paolo T.’s opinion? Because design is his game; he is Professor for Design Concepts at the Köln International School of Design (and has published/edited four books with this same publisher, a German house that is practically a byword for High Design). In the Preface, Piero Ferrari wrestles with the question of what made/makes Ferrari successful. Thank goodness, his answer is that he doesn’t know. One thing he does know, and say, is that Raupp is able to capture whatever elusive soul it is that a Ferrari car possesses. He calls him an “attentive observer, able to seize the spirit rather than simply the form.” That this is true can probably be only understood by those who engage with objects—any objects—on a visceral level and allow/invite them to get under their skin. As Raupp has: he has owned a Ferrari (1972 Dino 246 GTS; red, wouldn’t you know) for longer than he’s been doing this calendar so he’s steeped in the allure of the cars from Maranello. 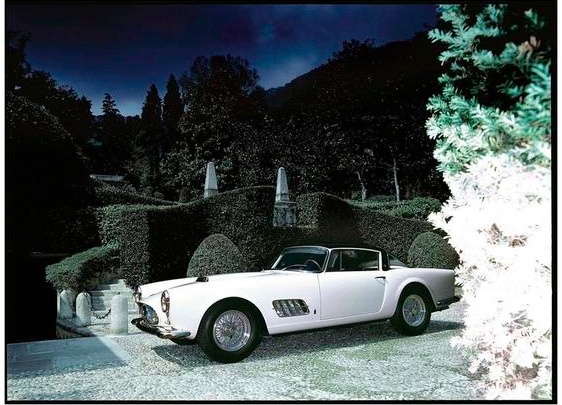 He wrote the Epilogue to this book and it is so obvious that he still gets a charge out of driving Ferraris—and out of doing the calendars, all 9131 days and counting. 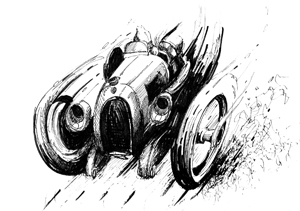 Speaking of numbers, early on in the book Raupp shows a close-up of his hands on the wheel of a Dino (he doesn’t say so, but this is his car) going 150 mph. Much more interesting than the question he poses (who took the photo when both of his hands in the shot are on the wheel) is a different detail: the odometer is just about to tick over to “100,000”. The last “9” is already moving. The technical specifications for all the vehicles come direct from the Ferrari archives so if you find something to quibble about, talk to them. To get a flavor of the photos (and more on Raupp’s background) read our review of the Myth calendar and look at the samples here. A photo may be worth a thousand words but a thousand words will not suffice to describe the technique, the compositions, the “mood”—they are meant to be explored by you, the viewer. All we can say is: take your time, look at everything, move those eyeballs around. Look at the backgrounds, their shapes and colors and angles. In your mind swap them for different backgrounds and gauge if the composition would still “work.” Then you may get a sense for what makes Raupp’s photos so intelligent. 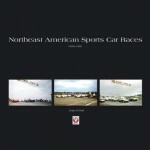 A closing section shows thumbnails of all cars along with a uniform set of specs. It goes without saying that an art book by this publisher is about as advanced and beautiful as it is possible to produce. Bound in red linen, with blind-embossed title, and screaming yellow endpapers. Oh, and the book is fourteen inches tall! If you don’t own a Ferrari yet, you’ll probably need one after letting these images seep into your subconscious. 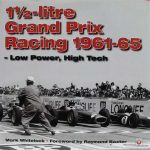 If you own a Ferrari and live the high life consider this: for less than the cost of an annual service you could buy one of the 50 limited editions of this book (ISBN 978-3-8327-9304-3, $3000). It comes in a red clamshell box and is accompanied by a signed, numbered and stamped ca. 17¾ x 21½ ˝ photoprint. Thank you, thank you, thank you! It was exciting even for me to read! Very precise, very good following the passion for quality! I am missing the words to say how excellent you wrote about the calendars!